Shooting stock images is a great way to get your food styling photos out there and make a little extra money. A simple photo like the one shown in the following figure may earn you a tidy sum of money. You’ll have to jump through a few hoops on your way to getting your images submitted to a stock agency, but it can be well worth the effort you invest. 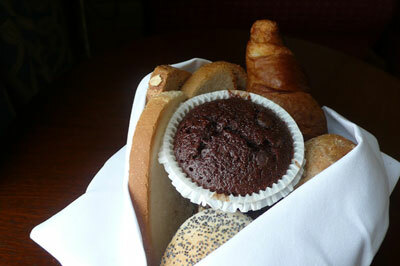 This simple photo of breads is a great example of stock photography. The two basic types of stock agencies are traditional and microstock. Traditional agencies take a percentage of a sold image as their fee. Microstock is a discount model, in which images are sold for a very low rate in the hopes of selling more images. Fees: Within the different traditional stock agencies, you’ll find a full range of fees taken out (in percentages) and different types of payment schedules. Although rare, there is at least one top agency that even charges to represent your photos. Only you can decide whether that type of arrangement works for you. Quality: All agencies evaluate photos for quality in several different ways, such as focus, dpi, size, and even creativity. Most agencies require a camera with a minimum number of megapixels. You’ll find a great variance in quality requirements from agency to agency. Rights-managed or royalty-free: Rights-managed stock images are charged separately for each and every usage. Stock agencies consider various factors when setting prices for rights-managed images. For example, a purchaser may pay a set price for an image that will be in a 1/4-page spread for a period of one month with a circulation of 10,000. Some rights-managed images can be licensed for exclusive use. Royalty-free images are images that are purchased for a one-time fee and can be used repeatedly by the purchaser. Basically, it’s a flat rate for unlimited usage. Submission process: Some agencies request initial submissions via CD, some ask for the URL of your website or portfolio, many prefer TIFF over JPEG, some ask for you to do a specific photo shoot, and all agencies have size requirements for the images. Submitting to these agencies takes a little effort. Okay, sometimes the submission process can be a little grueling, but it can be well worth it in the long run. When researching traditional agencies, you’ll find some stock directories out there that aggregate most of the different agencies. 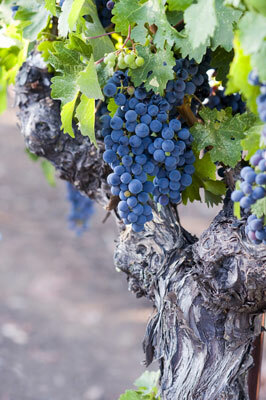 The good news is now several agencies are specific to food, drink, and even vineyard images like the one in the following figure. Some stock images, like this vineyard shot, work great for specific agencies. Microstock popped on to the photography scene several years ago with a completely different type of agency model. Microstock is to stock photography as fast food is to food. Essentially, it pays you much, much lower prices for your photos than traditional agencies, although there’ll likely be a greater volume sold. Whatever type of agency you choose, nearly all of them provide a URL of a gallery of your images that you can use as a portfolio. You can use this portfolio for marketing purposes, perhaps linking from your website, blog, or even a social site. Stock photography allows photographers to exercise their creative muscles with little to no limits on their creativity. 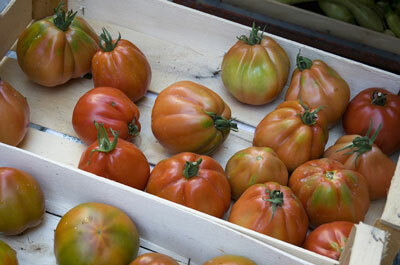 If you want to shoot some tomatoes for the heck of it, go ahead! Creative freedom is a good thing, especially if you can earn money by contributing to a stock agency. Shooting for stock agencies allows you to be creative and earn a few bucks in the process.